The SITDOWN with Julian Miller is an American syndicated infotainment talk show created by Julian Miller. Julian Miller is a current TV Producer, Celebrity Host, and CEO of Julian Miller Productions whom in which the show is produced by. The show officially begins production December 2016. It will be primarily aired on Netflix, Hulu, and Local Atlanta Cable. The SITDOWN with Julian Miller is rated PG-13. The SITDOWN with Julian Miller is to help publicize, expose, promote, and host special guests consisting of artists, celebrities, designers, journalists, authors, reporters, and many other individuals of various occupations. We hope to provide measurable excitement and entertainment for viewers. Episodes will include performances, interviews, discussions on national and global news, movie releases, reviews, and other aspects of the entertainment business. This show will also cater towards discovering hidden talent, small businesses, and young innovators in the Atlanta area. We believe in creating opportunity to help give others a chance to be successful. Julian Miller was born & raised in Port-more, Jamaica. He first started out with his acting career in the islands when he was 4 years old. From that point on he became well known in his home Town for his acting performances. He then later moved to the USA at the age of 11 back and forth for school and his career in the entertainment life. Through time, Julian has built his credentials by working with some of entertainment biggest TV Networks (Bravo, VH1, TVONE, PEOPLES TV, & TBS) However, in the spring of 2013, Julian Miller has moved from acting and went into television production. He has produced The Panel TV (TV Talk Show), worked on sets like RHOA, LHHATL, Cutting it in the ATL & More. In late 2013 Julian, has begun courses to become a TV Producer. In 2014 Julian Graduated and is now a Certified TV Producer. Apart from television, Julian Serves as a Celebrity Host, Acting Coach & Entertainment Mentor, Barber, Designer & his talents goes on. 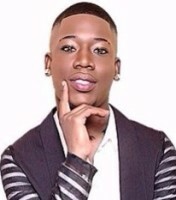 Julian has mentored over 100+ Aspiring Entertainers, has hosted major Fashion Shows like Dreams Apparel with Porsha Stewart, Stampede School of Modeling, Time Lounge With Mimi Faust, Caramente Show with Kadiyah (LHHATL), New York Fashion Week Finale Show, BET Hip Pop Awards (The Green Carpet Correspondent) & Walk Fashion Show. Inclosing, Julian is currently In pre-Production of his Own TV Talk Show (The Sitdown) and is set to be released in early 2017 on Netflix & More networks to accomplish. Apart from The Fame & Fortune, Julian's down to earth personality makes you feel welcomed and apart of his life, why? Because he believes that at the end of the day, he is still a human being who was once trying to make it. So he loves lending a helping Hand.